Kilimanjaro Dispatch: June 23, 2015 – Off to the Mountain! June 23, 2015 – Off to the Mountain! 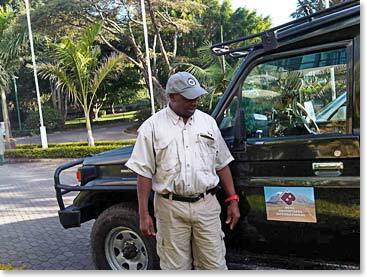 Arnold sent an update from Arusha today. 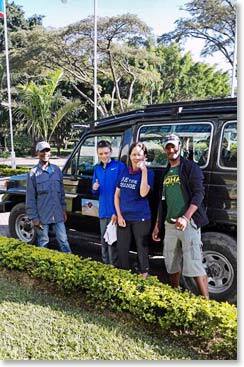 Barbara and William had just checked out of the Mount Meru hotel. He mentioned that the weather was perfect and that the team looks good. After they checked out and had their bags loaded they were off to meet the rest of their guides and staff and begin their climbing adventure. Stay tuned for more updates in the next couple days! Herman, William, Barbara and Thomas ready to depart for the mountain!